Curtis Gates Lloyd (1859-1926) along with his two brothers, John Uri Lloyd and Nelson Ashley Lloyd founded the Lloyd Library Museum in Cincinnati, Ohio. This amazing institution is known and respected internationally by doctors, scholars, students, researchers, artists, writers or anyone interested in their vast collections. It holds, preserves and provides access to both historic and current books, journals and archival materials on a wide variety of subjects related in some way to the natural world. 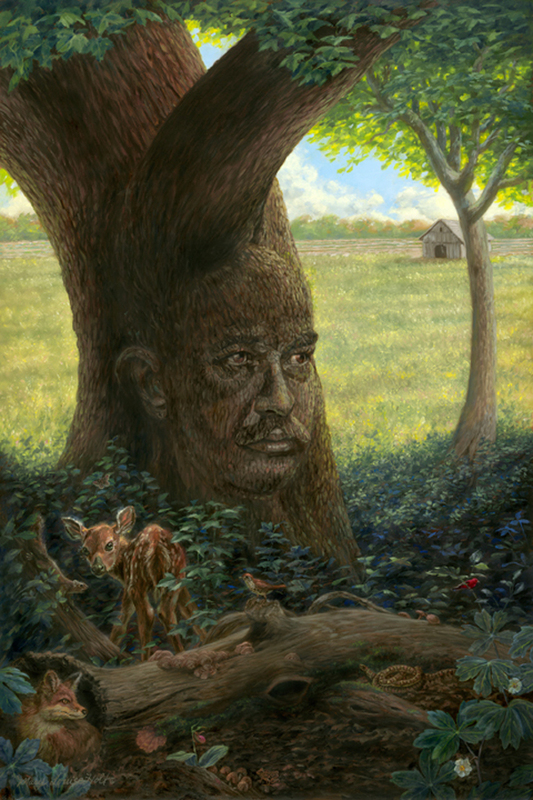 This whimsical portrait of Curtis Lloyd was commissioned in 2014 and is on permanent display in the lobby of the Lloyd Library Museum.